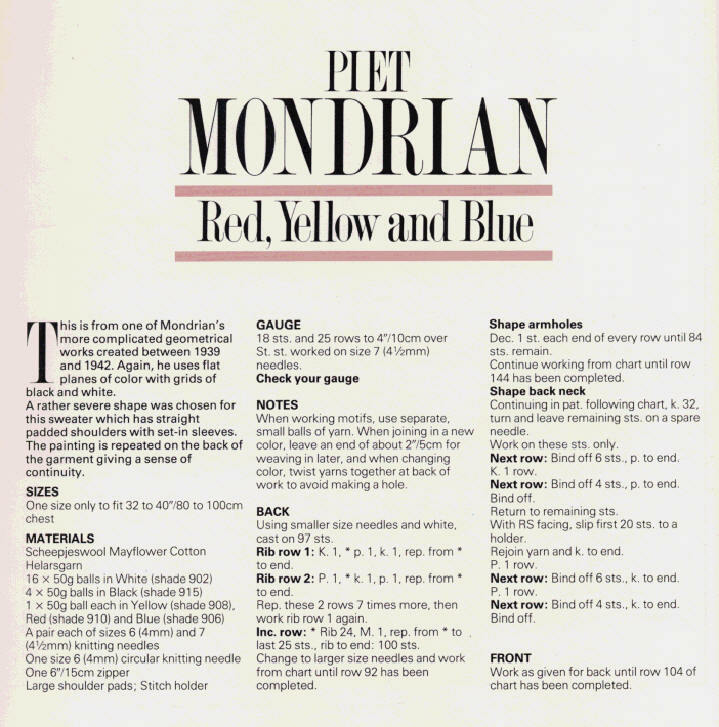 This link [used to] tell you how to embroider you own Mondrian. If anyone [finds the instructions,] tries it and it turns out ok, I would treasure an example. THIS WONDERFUL HARD COVER BOOK WITH DUST JACKET BY RUTH HERRING & KAREN MANNERS FROM 1987 HAS THE FOLLOWING PATTERNS: STANDING BISON, THE PHARAOH'S TOMB, GRECIAN VASE: EXEKIAS ACHILLES. MICHELANGELO: HEAD OF DAVID. MONA LISA. CLAUDE MONET: POPPY FIELDS. CLAUD MONET: WATER-LILIES. 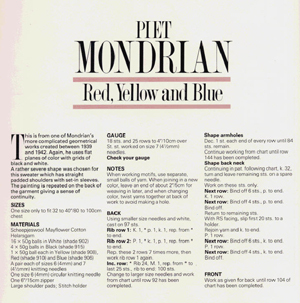 PIET MONDRIAN: SQUARE COMPOSITION. PIET MONDRIAN: RED YELLOW & BLUE AND ROY LICHTENSTEIN: WHAAM. 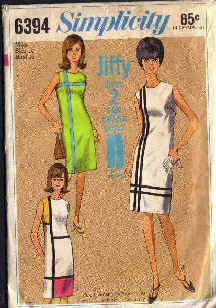 THEY ARE PULLOVERS, ZIP, SLEEVELESS & DRESSES. This is definitely the best knitting book I have ever read. It also offers a jumper using one of the diamond compositions. You can have a copy if you will knit me one too. There's a load of other attractive offerings, but there's no beating PM. As usual, the convention is, text in italics is from the artist or seller, the rest is probably mine. 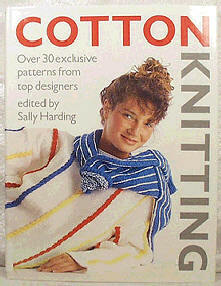 Title Cotton Knitting Author Sally Harding, Editor Publisher 1987 by Barron's Size 8.5" x 11.25" - 120 pages Description Hardcover - This 15 year old book includes full color photographs, illustrations, and charts. 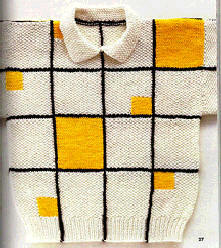 "Cotton, with its clarity of color and crispness of texture, is becoming an increasingly popular yarn for knitting. Cotton Knitting is an exciting collection of more than 30 original handknit designs from 11 of today’s top knitwear designers, selected and edited by Sally Harding, former senior editor at Vogue Knitting. "The patterns range from simple but stunning summer tops to sophisticated and intricate sweaters, with something for every occasion - from glittering evening wear to sporty pullovers. 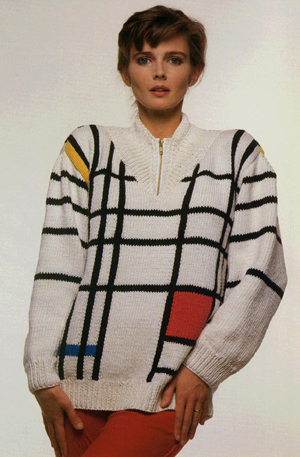 Cotton Knitting is far more than just a collection of patterns. Many of the designs include variations of color and style to suit a range of individual needs. 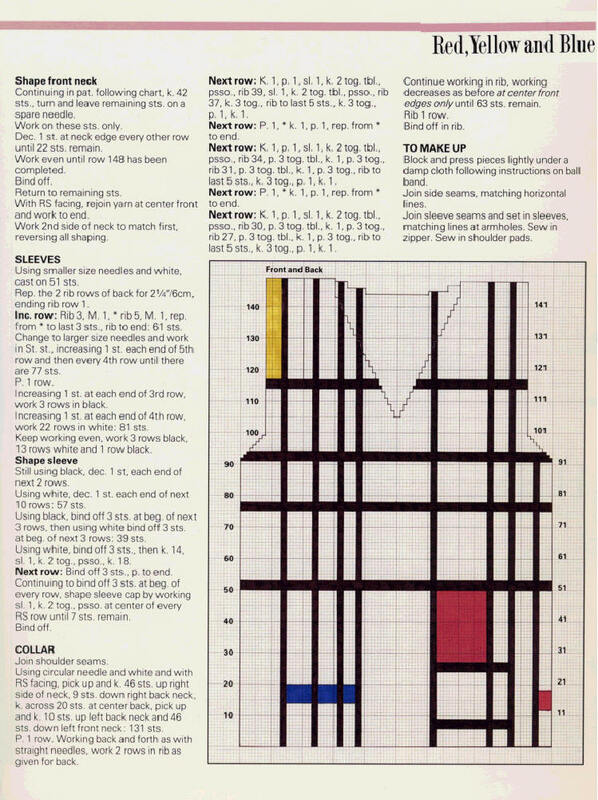 "A practical section at the end of the book demonstrates the specific techniques needed to give a garment that special “designer” finish - from invisible seaming to the special ribbing methods best suited to cotton yarns. Information on caring for cotton helps you keep your cotton knits looking their best. 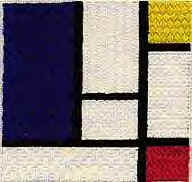 This is Aunt Lydia's Mondrian No.303 Contemporary Rug Pattern. The rug hooking kit includes a color picture, complete instructions and a rug foundation stamped with a pattern. Rug yarn is not included. This rug is done basically in greens and is 24" by 36" finished. 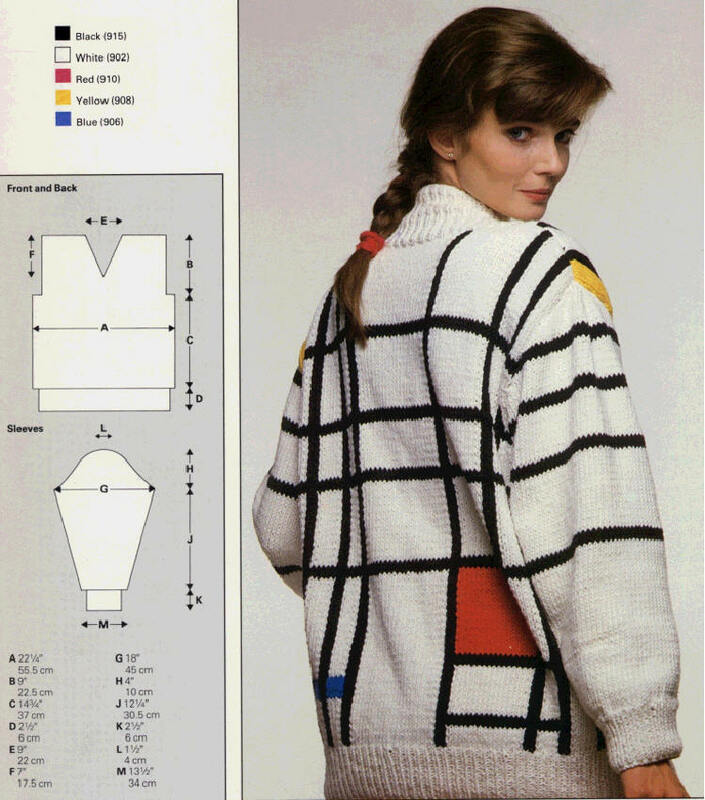 I'll not bother buying this one, but a Mondrian suit pattern would be another kettle of fish. 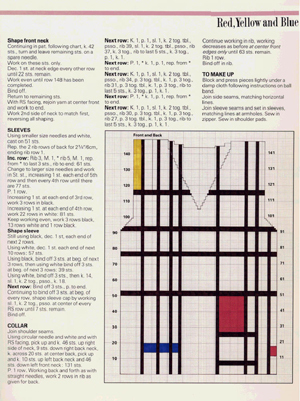 "Simple to Sew" Simplicity pattern #6394. Remember Yves St. Laurent's Mondrian-inspired dresses of the 60's? It was a classic look then, and fun to wear now. Misses size 10 (bust 31, waist 24, hip 33 OLD SIZING). Pattern is cut but complete, envelope is somewhat worn, from a nonsmoking home. 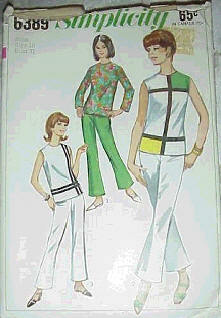 This is a vintage pattern for a Modern Art style color block pants suit. This is from the 1960s . By Simplicity. Bust is 31 inches, waist 24 inches, hip 33 inches. OK, this is sort of a strange one, but someone out there may need a project this winter. 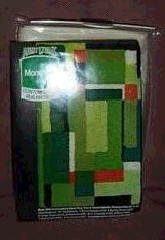 You are bidding on a mint in box, never opened, Dinah Shore needlepoint system. 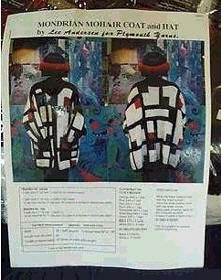 As you can see, it is a Piet Mondrian design and when finished, will measure 15" x 15". This kit dates from the 60's or 70's.